Q: You’ve recently released a video for an OleaVisionTM In-Vehicle Life Presence Detector. Can you explain exactly how this works and why it is important? A: The OleaVisionTM is a unique human presence technology in that it does not rely on motion, cameras or merely a heat signature to identify a living presence, whether human or animal. In this application, it is able to continuously scan the interior of a vehicle and register the presence of a life form. So, even if the child or pet is sleeping, OleaVisionTM is able to “see” them and send a signal to the caretaker’s phone in order to alert them to the danger of leaving the child or pet behind in a potentially hot vehicle. This alert function is activated within about 30 seconds of when the car engine is shut off, and assumes that the driver is about to or has left the vehicle. Both the alert and the timing is vitally important because a car cabin can become a dangerous environment to any living being left behind for prolonged periods. A car cabin can overheat to over 100 degrees even in 50-60 degree Fahrenheit outdoor temperatures and in the winter season, a child or pet inadvertently left behind is also in danger of hypothermia from excessively cold temperatures. We tend to focus on the dangers of hot weather, but cold temperatures can be dangerous as well over a prolonged period of time. Statistically, according to NoHeatStroke.org, 700 children have died in stationary cars from 1998 through the end of October 2016 and that number continues to rise with 43 dying in 2017 alone. And the cabin temperature of a vehicle can get well over 110 degrees Fahrenheit in a matter of minutes in summer temperatures. Q: And, how do you hope to see this be adopted by consumers? A: A feature of this technology is that it is easily adaptable to any vehicle. As an automotive aftermarket product, it can be sold directly to the consumer and easily installed over the back door of the car as shown in the video. At the same time, it could be wired into the automotive electrical system if a manufacturer wanted it to become a fixed feature in a particular model of vehicle. The thing that all manufacturers should be aware of is that there are many national child and pet safety organizations behind a movement to make it mandatory for all vehicles to have some sort of alert system. It is only a matter of time before that legislation becomes law. 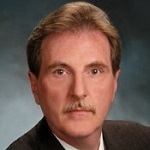 Q: So, this is a recent edition to your technologies for Automotive applications. Can you tell us what led you in this direction? A: We had been developing a human presence detector for the Industrial Truck industry and, at the same time, had become aware of a group called Kids n’ Cars that advocate for child safety in and around vehicles. We were discussing internally how this technology could be adaptable to an in-cabin environment. At about the same time, we received a call from a 911 dispatcher from Florida that expressed her frustration at the number of hot car emergency calls she was getting. She had gone looking for a solution and saw our website. Unfortunately, we did not have a consumer product or even a prototype to offer her at the time. We took inspiration from this experience, developed the technology for this application and are now looking for an investment and manufacturing partner to bring it to market. Q: For our readers who are not familiar with your work in the Automotive space, can you give us an over view of your other offerings for the Automotive Industry? A: All of our Internet-of-Things (IoT) sensor technologies are safety based and have the capability to continuously detect life presence and vital signs. For application in the Automotive industry, we have been working for some time with various OEM’s on both embedded and aftermarket versions of our OleasenseTM vital sign technology. To better explain, OleasenseTM reads vital signs such as heart rate, respiration and heart rate variability (HRV). It also establishes a unique, biometric HeartSignatureTM for each user based upon these readings. This data can be collected and, if needed, in, for instance, an emergency, be transmitted to first responders through the vehicle’s ADAS system. The technology may also be used to identify users in the vehicle for Infotainment and personal comfort issues. 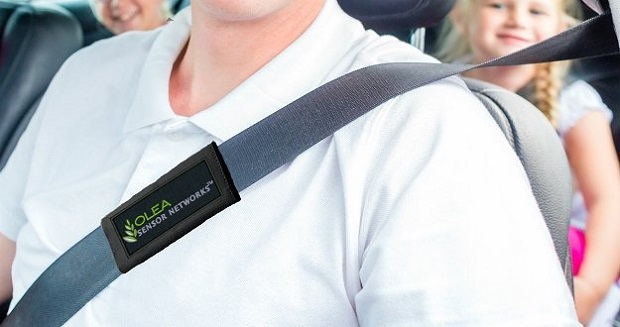 OleasenseTM is adaptable to installation in a seat belt or may be embedded in the vehicle in some way. Q: So there are several players in this area of ADAS for the Automotive Industry. What differentiates OleasenseTM as a technology and in what way have you been uniquely successful? A: OleasenseTM is unique because of its ability to continuously monitor or identify the user. It is not intrusive like camera or visual based technologies and it accurately reads vital signs unlike many wrist based technologies that are subject to variances such as body heat. Additionally, OleasenseTM offers a biometric feature that is absolutely unique and reproducible, providing a robust authentication technology that prevents fraud & identity theft. 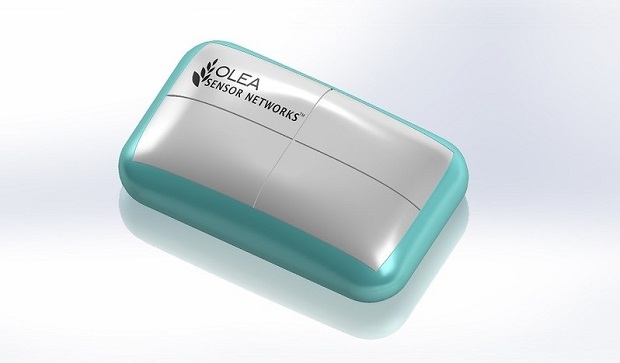 Olea Sensor Networks has also conquered many of the motion artifact issues inherent in moving vehicles, using our proprietary algorithms. This is an issue that plagues all other vital sign detection systems in development today and we know of no one else that has had similar level of success in this to date. Q: What capabilities do you hope to add in 2018 and beyond as this technology evolves for Automotive? A: Well, we always say, if you can dream it, we can develop it, and as the ADAS system market is projected to exceed $65 billion in the next 5 to 7 years, it would appear that the sky’s the limit. But we believe that people will continue to demand safety and convenience in their vehicle purchases. This will continue to spur us on to develop more usable features and additional sensor capabilities. We see additional vital sign features and analysis as something people will come to expect as the norm for both safety and informational purposes. For example, perhaps, in the future, we will see automobiles interacting with drivers to discuss the data received. Perhaps your “smart” automobile will be able to offer advice on diet and activity based upon your personal data, integrating fitness tracking and existing safety/infotainment features. Also, as biometric features in automobiles prove beneficial and gain confidence in the Insurance industry, having this as a security, anti-theft feature in your auto may save the consumer and the industry a great deal of money in that the vehicle will be capable of not responding to someone not registered to driver the vehicle. All this and more will be possible and we, at Olea Sensor Networks, plan to be a part of these developments going forward.